Enclosed by mountains and sea, Oslo is a compact city with a blossoming contemporary cultural scene and an ever-evolving identity. Both old and incredibly new, Oslo offers history and heritage alongside modern art and contemporary architecture. Fans of Scandinavian noir crime thrillers can explore the well-documented neighbourhoods whilst others might explore one of the many vast green spaces the city boasts (it was named European Green Capital for 2019). The city has one of the lowest carbon footprints in the world predominantly thanks to the renowned and brilliantly executed public transport system. Throw in some cracking culinary establishments (including the most northern three-Michelin starred restaurant) and an edgy nightlife and Oslo should be added to your bucket list right now. Here are our fav 5-star hotels in the city to get you started. 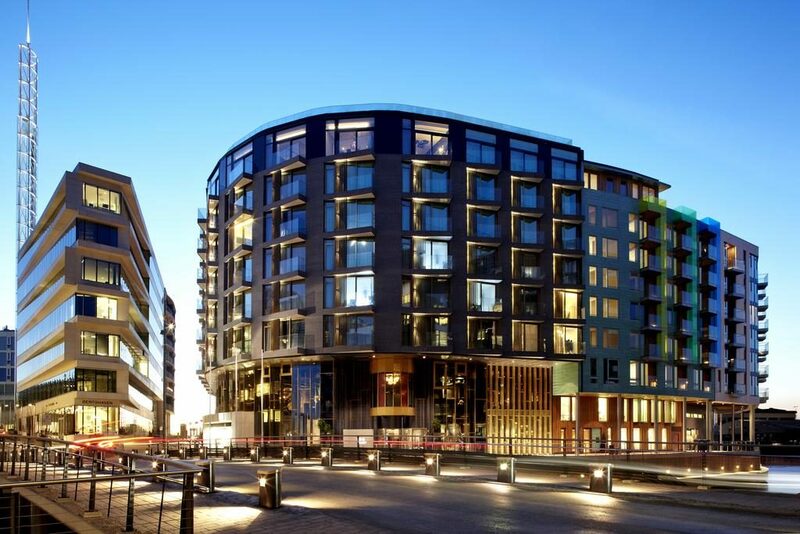 Oslo has everything for the discerning traveller including the Thief Hotel (or Tjuvholmen) which is tucked away in the middle of downtown Oslo and really did used to live up it it’s name as it was a renowned hideaway for thieves, smugglers and assorted rascals! Today, the stylish boutique hotel is far removed from it’s murky past and is a top place to get away from it all and luxuriate in the spa and enjoy Norwegian food, great bars and top of the range designer furniture. Tjuvholmen beach is not far away, and the hotel is set on an islet which is connected by a footbridge. The Saga Hotel in Oslo prides itself on the homey and warm atmosphere that provides a relaxing haven after a hectic day in the city. 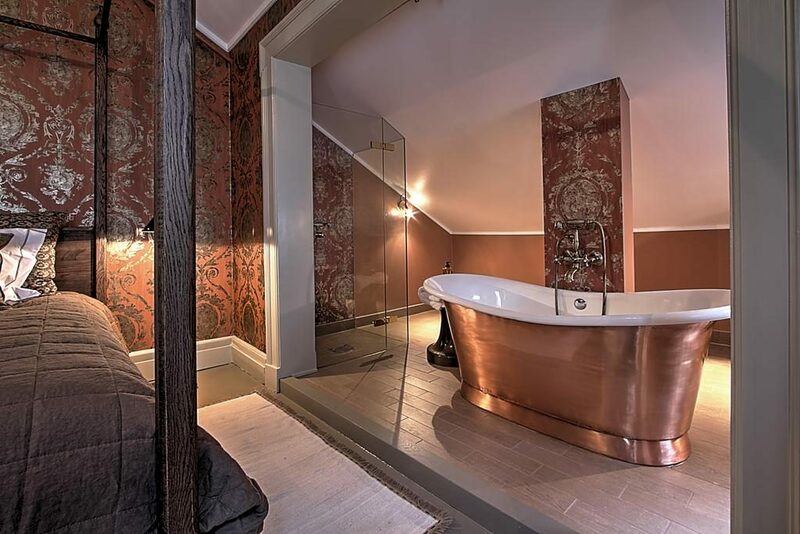 The four-star hotel is based in Frogner, very near to the Royal Palace, and after a complete refurbishment in 2011 it now combines a modern and soothing interior with the retention of beautiful architecture dating back to the 1890’s. Bar Eilert serves a range of coffee and alcoholic beverages, and the hotel restaurant Fangs’ provides an intimate environment with a unique hybrid of raw Nordic and Japanese cooking resulting in a range of innovative dishes. 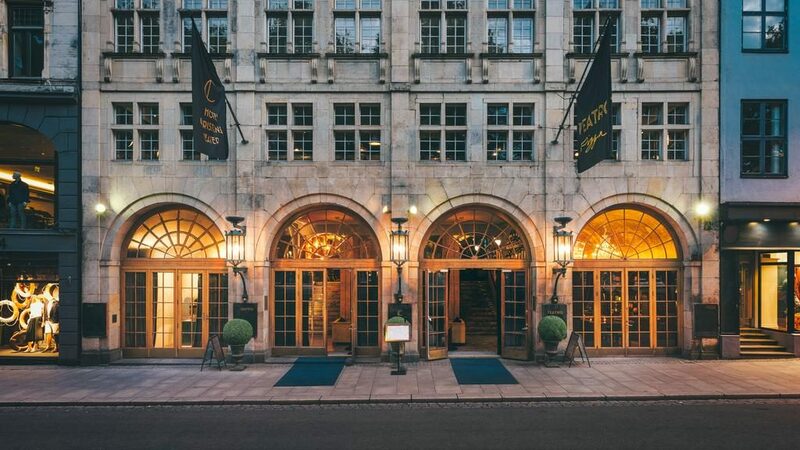 Built in 1918 by the architect Henry Coll, this hotel preserves a rich slice of Oslo history with the original arched doorways and is known for the theatre in the hotel, and has had a more recent upgrade by Annemone Wille Waage to give it a modern and sophisticated feel. The building is near to the Royal Palace and the parliament as well as Karl Johans Gate. The rooms are furnished in a warm ambience with feature Italian wallpaper, and all rooms have good lighting with large windows and spotlights for that evening glow. 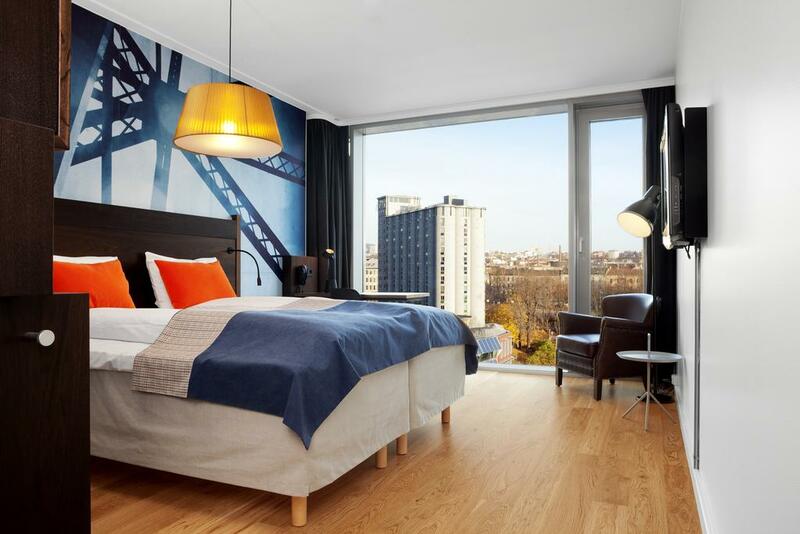 The Scandic Vulkan is located close to Grunerlokka and has a cultured, designer appeal for those who like a luxurious, urban environment including ample helpings of nightlife and shopping. 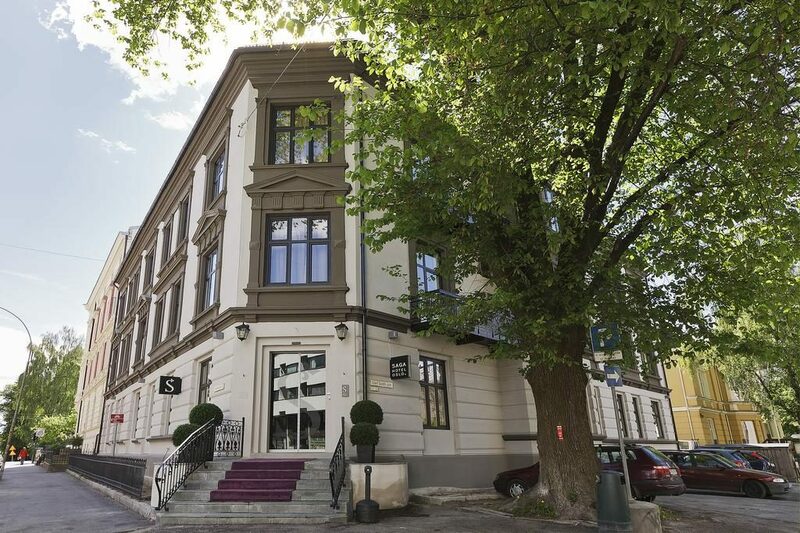 The hotel is situated next door to Mathallen which is a top venue for gastronomes who want to try both Norwegian and international cuisine in a buzzing environment, and even closer to home the hotel has an Italian restaurant on the ground floor. The river Akerselva is nearby, and Oslo city centre is only a 15 minute walk away so that you can experience everything that the city has to offer. Located in an exclusive part of Oslo next to the Royal Palace Gardens, the Camilla Hus Hotel has 7 beautiful and unique rooms with a range of classical and modern furniture and fittings that provide a relaxing and luxurious effect. The hotel has a fascinating history and was built as a private residence in 1845 as part of a plan by the Royal Palace architect, Linstow. The hotel became the residence of author Camilla Collet who in addition to her writing career was a leading figure in her day as an activist for womens’ rights. 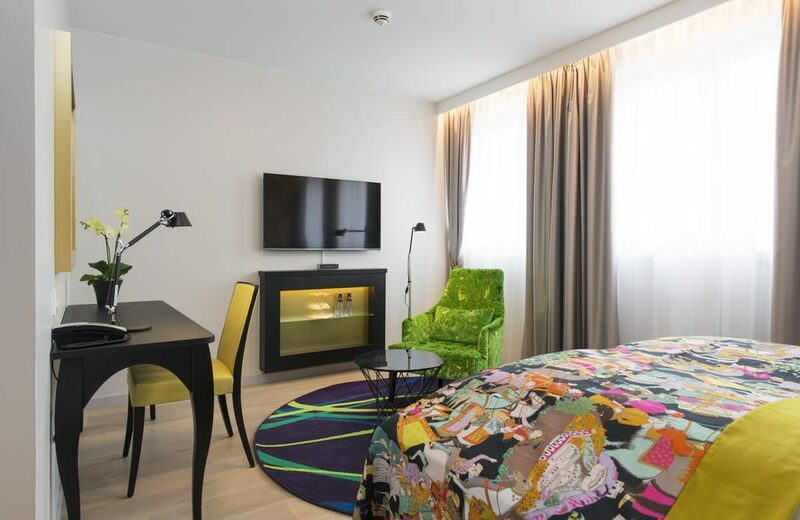 Right in the heart of downtown Oslo, the Rosenkrantz is only a few minutes walk from Karl Johan High street, and the hotel provides a modern and quirky blend of comfort and quality with pops of colour and interesting materials used as part of the furniture and decor. The hotel is situated right next to the Royal Palace, and the lounge on the eighth floor gives great views whilst guests enjoy meals, coffee and snacks. The hotel is centrally situated for Karl Johans Gate, all the city attractions, and has good public transport networks.